In Singapore, according to the Singapore Heart Foundation, approximately one out of three deaths is caused by heart diseases and approximately 17 people die from such condition every day. If you are concerned about having heart disease or your risks of heart disease, do drop by Thomson Cardiology Centre for an appropriate comprehensive assessment. Below are the steps involved and some of the tests our cardiologist may recommend. This will involve confidential and appropriate questions about your general, and heart health related habits, e.g. physical activity level, smoking, and there is also a review of cardiovascular symptoms, if any, and family history of premature heart disease or stroke. Following the history taking, there will be a physical examination involving several important cardiovascular parameters – body mass index (BMI), Waist-Hip Ratio, Heart Rate. This is followed by a concise cardiovascular examination by the cardiologist. 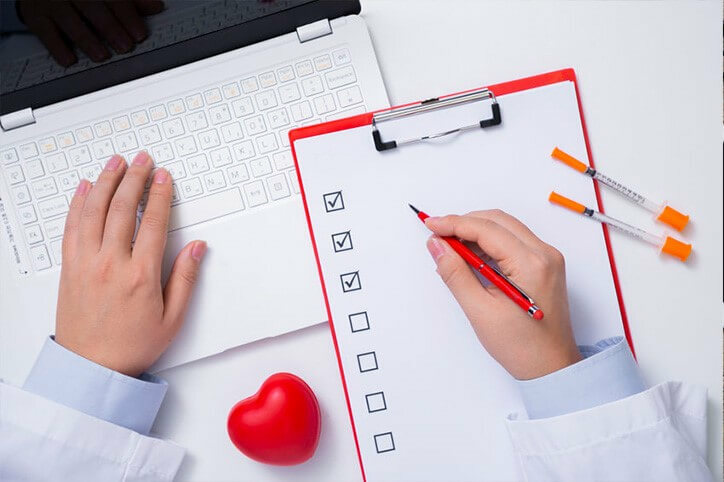 History taking and physical examination help doctors to better understand their patient’s cardiovascular and medical state before recommending specific diagnostic tests and interventions. When coming for a medical consultation, especially for heart check-up, consider providing a list of medications you are taking, including vitamins, over-the-counter drugs and supplements. The test for blood pressure gives two readings: the pressure in the blood vessels when the heart fills up with blood (diastolic pressure), and the pressure when the heart pumps blood into the arteries (systolic pressure). Some people experience a rise in blood pressure (BP) at the thought of having their BP taken (white coat effect). Thus, when having your BP test, make sure to relax or to sit quietly for at least five minutes before the test. Also, inform the person taking your BP regarding the prescribed medicines you are taking. A standard and advanced lipid panel will assess for lipids that has cardiovascular prognosis that increases the risk of heart attack and stroke. These test in the vast majority, do not require a fasting blood sample. While tests in the standard lipid panel can be available within 1-2 hours, some tests in the advanced panel require 24 hours for results to be ready. Tests for kidneys are also undertaken because these organs filter blood to avoid waste build up in the blood vessels. These procedures include blood test to check the efficiency of the kidneys in filtering blood, and urine tests to check for albumin, which may indicate early damage to the kidneys. A thyroid blood test can also be used to assess heart health, as the hormones released by the thyroid gland can affect the speed and strength of the heart as well as the cholesterol level and blood pressure. The electrical activity of the heart can be recorded using an ECG test, which helps in assessing problems related to the heart rate and rhythm. They are very useful in assessing for symptoms such as chest discomfort, breathlessness, palpitations, dizziness, or for assessing stroke risks. 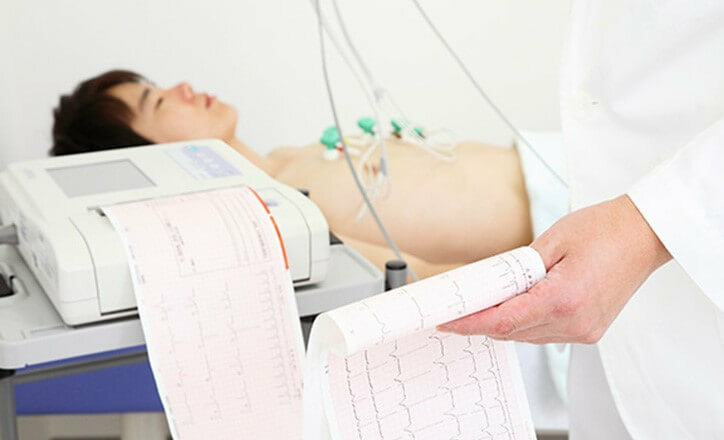 Regardless of the kind of ECG test taken, the procedure involves attaching variably one or several electrodes (sensors) to your chest, arms and legs. These sensors are connected to an ECG recording device wirelessly or by wires. The procedure is usually carried out by a cardiac physiologist (trained specialist). The ECG recordings are reviewed by a cardiologist. The echocardiogram (also known as “echo”) can help check the function of the valves as well as the heart muscles in terms of relaxing and contracting. It can also assess the size of the heart as well as the thickness of the heart muscle. This test utilizes high-frequency sound waves (ultrasound) scan to create an image of the heart. It is a painless procedure and can be done in Thomson Cardiology Clinic by an experienced, cardiac physiologist or by the cardiologist. Also known as treadmill test or exercise tolerance test (ETT), the stress test records how the heart performs when under stress or when working hard such as during strenuous physical activities or exercises. Moreover, the results can also help assess the right level and type of exercises that the patient can more safely have. In the treadmill stress exercise electrocardiogram (ECG) procedure, electrodes (sensors) will be attached to the patients’ chest and are connected to an ECG machine. The patient will then be asked to walk on the treadmill, which will gradually become faster and steeper. The patient will be assessed for symptoms, BP, heart rate and ECG at regular intervals. The patient should inform the attending medical practitioner if there are symptoms experienced while doing the stress test. The entire test can take around 30 minutes. In a stress echocardiogram, the patient will be stressed physically as in the treadmill stress exercise electrocardiogram (ECG) procedure protocol. At peak exercise, the patient will be asked to stop, so that ultrasound images of the heart can be acquired to assess the heart function during exercise. Most but not all are suitable for this test. Do come to Thomson Cardiology Clinic to speak to our staff and cardiologist for a more detailed discussion. This is a non-invasive imaging test that uses a powerful X-ray machine to look for presence, site and severity of calcification of the arteries that supply blood to your heart. The presence and extent of Coronary Artery Calcium (CAC) can predict the presence of coronary artery stenosis, but in general it is a better marker of the extent of coronary atherosclerosis than the severity of stenosis. It can also be used to assess the origins of coronary arteries. As it is non-invasive, they don’t require recovery time. There is no contrast injection, and involves less radiation compared to the CT Coronary angiography test. This test can be used as one of the methods for screening for Coronary Artery Disease (CAD) in patients deemed to be at risk of CAD. 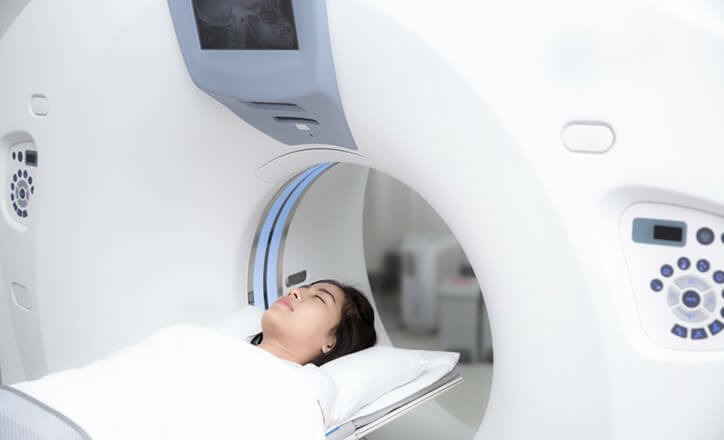 Coronary CT Angiogram is another type of CT heart scan, where a powerful X-ray machine is used to look for presence, site and severity of calcification of the arteries that supply blood to your heart. In CTCA, a special dye (contrast) is injected into veins, where it will then flow into the heart and coronary arteries. The coronary arteries can be assessed for abnormal origins or course, and the presence, site and severity of any blockages in the coronary arteries. As it is non-invasive, they don’t require recovery time. However, it does involve injection of contrast into the veins, and higher dose of radiation compared to CT calcium scoring. It might be used to evaluate the cause of symptoms like chest pains, or shortness of breath sensation, or part of a comprehensive sudden cardiac death preventive evaluation. 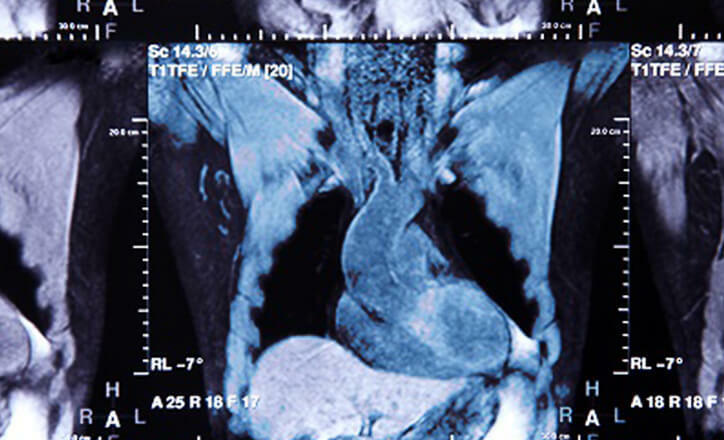 The Cardiac Magnetic Resonance Imaging (MRI) will help doctors assess problems relating to the structure of the heart. The scanning machine utilizes a magnetic field in order to create pictures of the heart and the surrounding tissue. The results provide a clearer image of the heart structure. The scanning procedure is painless and non-invasive. This procedure is done under local anesthetic and gentle sedation. It involves inserting a thin, flexible, hollow tube (catheter) into the large artery in the wrist or groin region, and it is guided into the heart and coronary arteries. This is followed by injection of a special dye (contrast) into the artery, to visualize the coronary arteries with the use of X-rays. These angiograms allow the cardiologist to see any narrowing (stenosis) in your coronary arteries. If the narrowing is equivocal, intra-coronary hemodynamic study with fractional flow reserve (FFR), is used to assess the functional significance of a coronary stenosis. This utilizes a specialized guide wire to measure blood pressure within a coronary artery. As it involves small but distinct major risks like stroke, heart attack, limb loss and even death, these invasive tests are only done if there are strong reasons to do so like a positive stress test or positive CTCA result or both. Early detection and treatment of heart disease is beneficial and can save lives. Visit Thomson Cardiology Centre at Thomson Medical Centre Hospital today to learn more about your heart health or you can view our comprehensive health screening packages to know your options on cardiology services.